We are able to provide a range of vehicles to lift extra size loads for business or personal purpose. 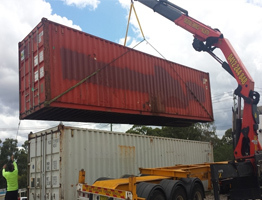 Our trucks are equipped with cranes to lift your oversized loads or heavy containers. Oversized and over height loads shouldn't be moved carelessly. It may put the environment and people surrounded in danger and may cause damage to the goods themselves. You will need a professional help to carry and deliver extra size items safely. 4LIFTN can provide the right vehicles for your projects, we have various type of trucks to carry huge and heavy loads or containers. If you need someone to drive the vehicle, our operators are professionals in their field. You can leave the tasks to our experienced operators and have your projects finished on time.